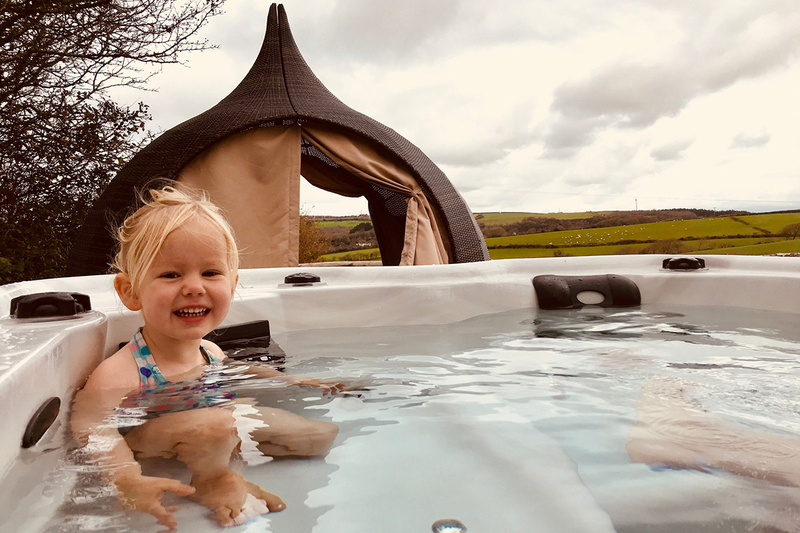 Our peaceful farm is located in Bush, Cornwall, just 2 miles from the centre of the beautiful seaside town of Bude. Our Shepherd&apos;s Hut is approximately 24ft X 9ft. The solid steel and hardwood construction features double glazing, thermostatically controlled underfloor heating, a toasty wood burner, mains water supply, electricity and is fully insulated. The spacious design makes it possible to include many comforts that will make your stay a luxury &apos;glamping&apos; experience and the outdoor features complete the package. 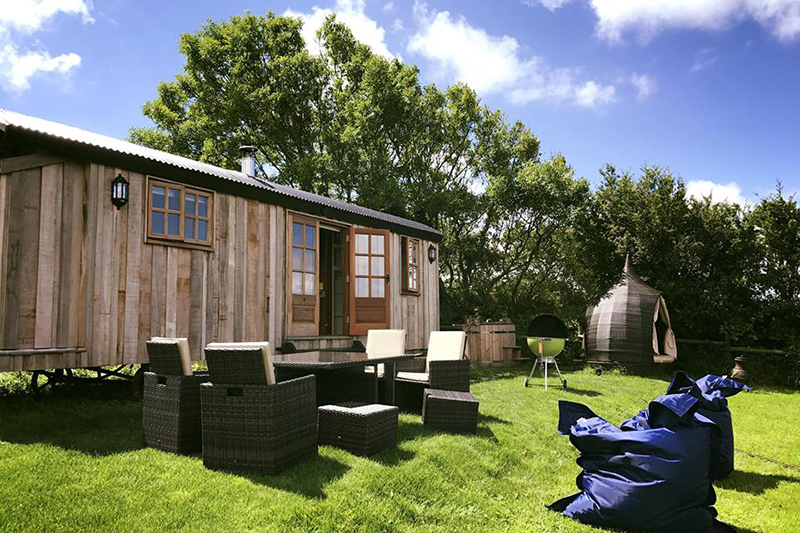 Rattan Cube dining furniture, the ultimate relaxation on the outdoor day bed, BBQ facilities, giant bean bags, hanging chair, clothes airer, indoor and outdoor showers and parking next to the hut...we&apos;ve thought of everything to enhance your stay. The hot tub is amazing in any type of weather and especially under the stars! 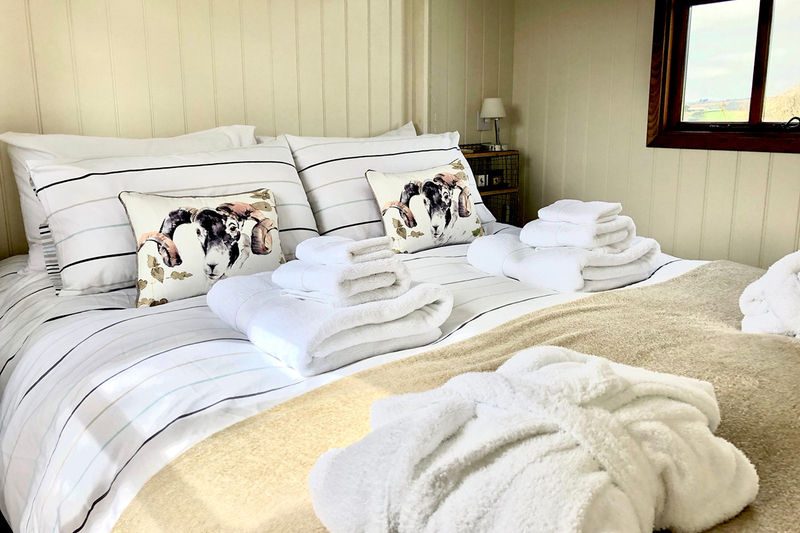 Staying on our land presents the opportunity to soak up the silence and sunsets over the ocean, whilst being just over 5 minutes away from a choice of beaches, shops, supermarkets, pubs and restaurants.